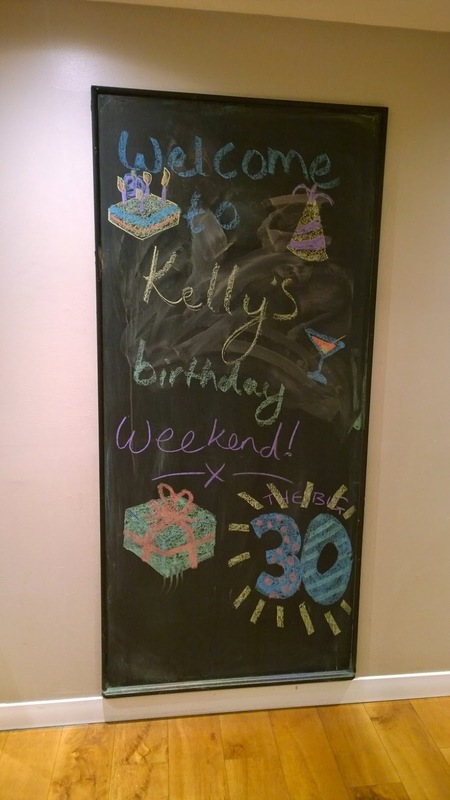 On Saturday, it was my 30th birthday. Or rather, my pretend 30th birthday. 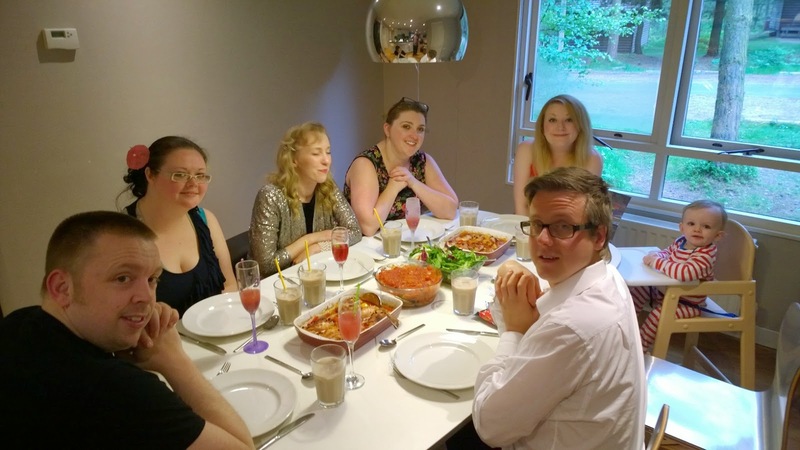 It's been a tradition since I turned 21 to have more than one celebration as most of my friends are teachers and we can never seem to organise anything together actually on my birthday (it's 2nd July, for anyone who wants to take note...!). 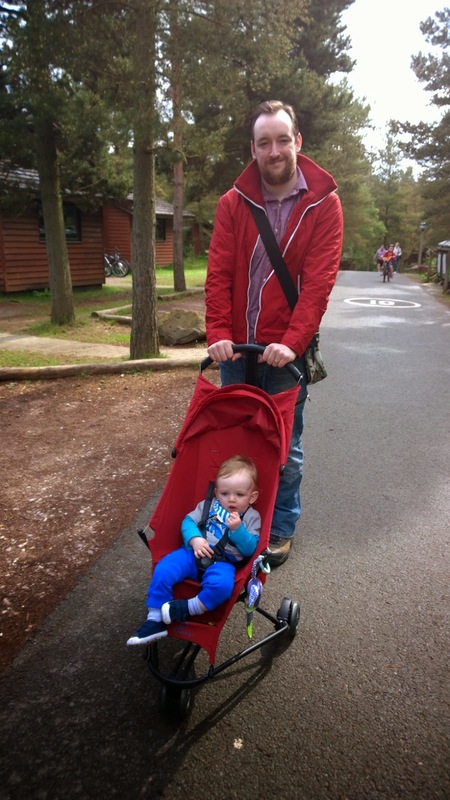 We headed to Center Parcs Whinfell Forest in Cumbria to make the most of a the Bank Holiday weekend. Sadly, the sun didn't have his hat on for very much of our stay but the weather was generally fine and it didn't matter because we had the four F's - friends, food, forest and fun! 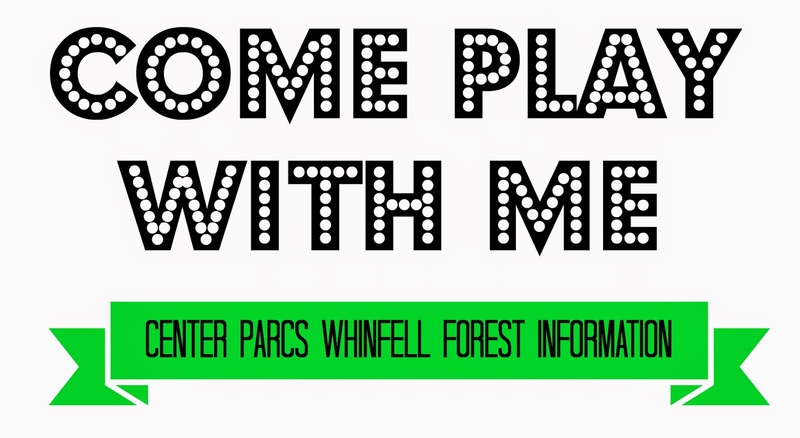 Hubs and I have visited Whinfell Forest once before, last Christmas, and we have also been to Longleat. 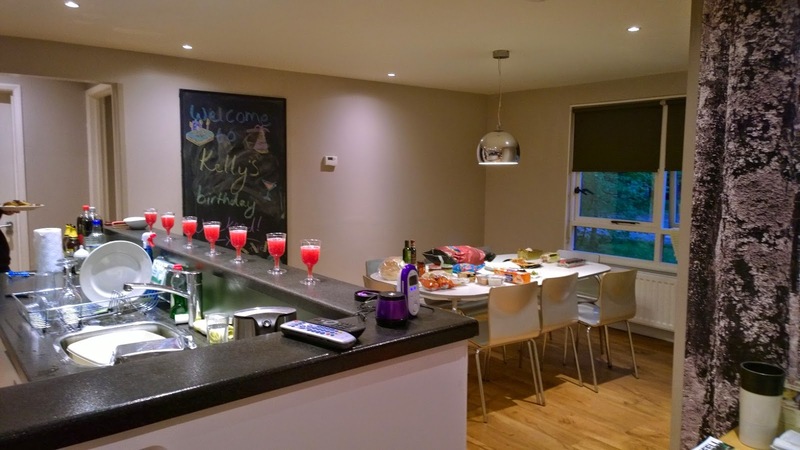 No-one else in our party of eight had stayed at Center Parcs before however and I was so excited to see what everyone would think of the lodge, the village and the break as a whole. An itinerary for the weekend, dividing up the cooking between everyone so we could all have the chance to dish up dinner for the group. 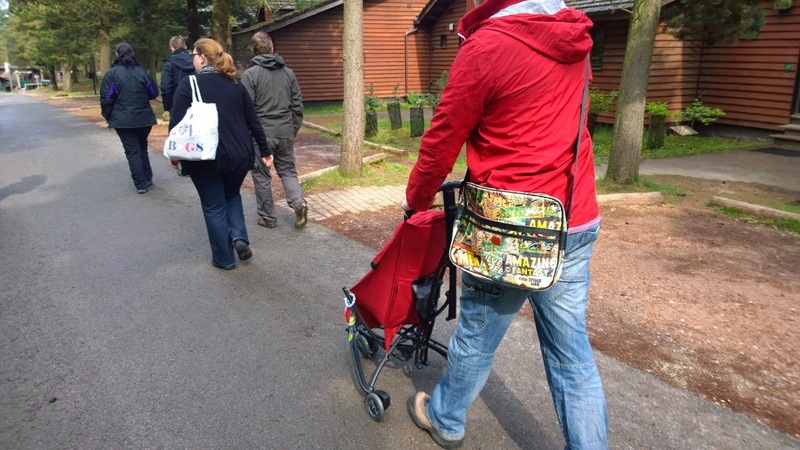 A guide to Center Parcs and the various activities we could enjoy. 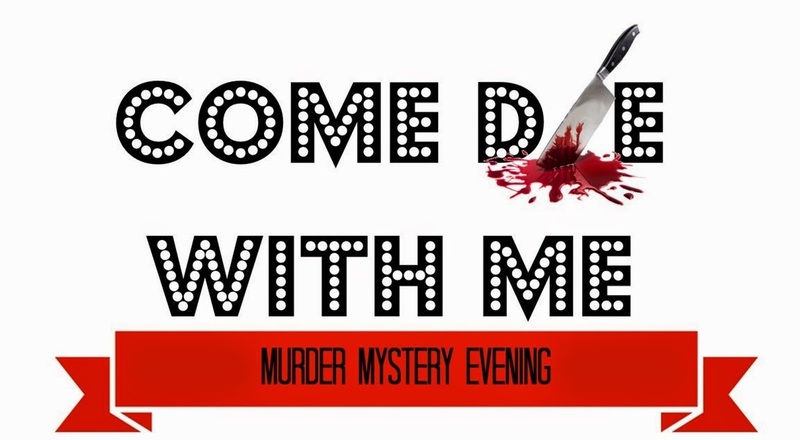 Details of a murder mystery game we were going to play on the Saturday night, with character information for each guest. I wanted our mini break to be relaxed and my main priority was for us to spend some quality time together and escape the outside world for a few days. 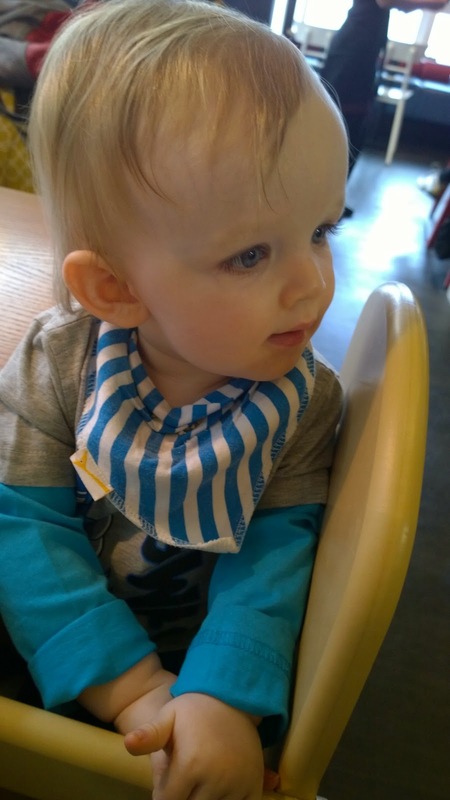 On Friday afternoon, hubs, Ethan and I arrived along with our friend Bex and we quickly got settled into our lunch. Later that evening, we welcomed our other friends Lindsay and John then Nat and Stu with a welcome drink before a night of chat and nibbles. Saturday started with a big breakfast cooked by Nat and Stu, followed by a walk to the village centre, a stop at Starbucks by the lake and an afternoon in the Subtropical Swimming Paradise. Ethan was exhausted by all the attention and the change of scenerio - including the regular visits from the local ducks, pheasants, woodpeckers and squirrels to our patio - so hubs and I headed back to the lodge with him to get the dinner on for our turn that evening. We all got dressed up and whilst I served some tapas, we each took turns at making a signature cocktail for the group. After we had dinner, we got into character and played our murder mystery game whilst enjoying a few more drinks - it was a lot of fun and we were all shocked when the killer was finally revealed. Sunday was another laid back day. A visit to The Pancake House gave us some much needed energy before we went for a nice stroll around the lake and through the forest then we had a pitstop at our lodge before another swimming excursion. 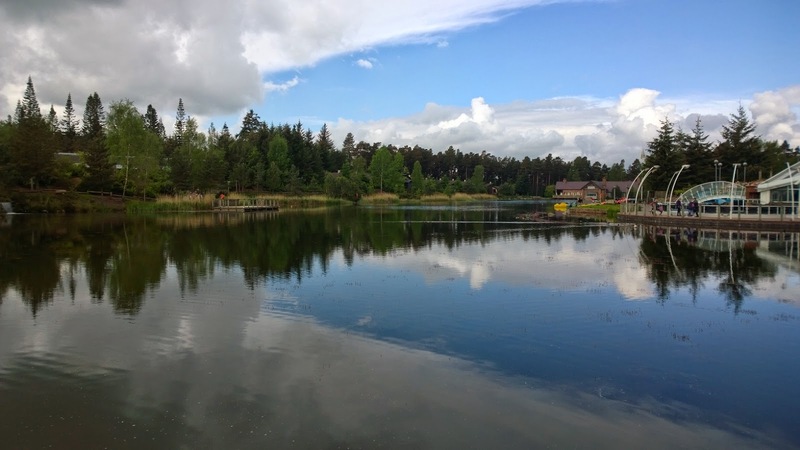 We checked out on Monday morning, packing up our things in our cars, before enjoying a breakfast buttie at Dexters Diner, a visit to the soft play area then another Starbucks by the lake. Everyone was tired but we had all thoroughly enjoyed our stay and said they'd definitely come back again. We were rather sad to leave the lake and forest, as well as each other, as we headed off in different directions home. 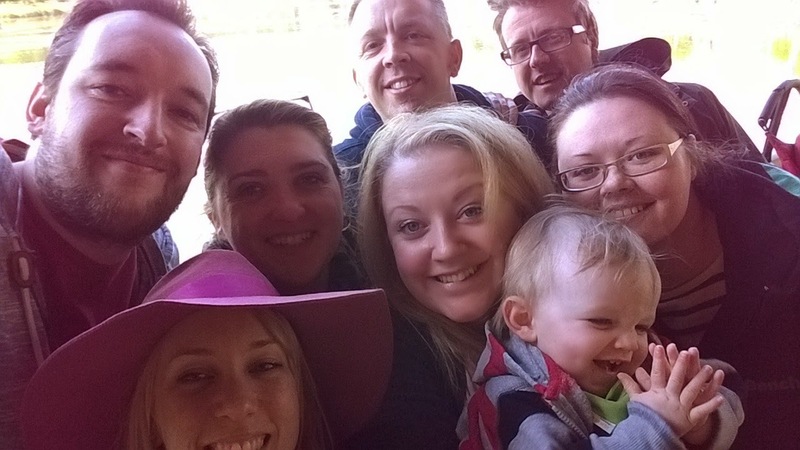 Every time we go to Center Parcs, it gets harder to leave and I am so grateful that I will be going to the Sherwood Forest location for my real 30th birthday as part of my Center Parcs Family Blogger Club membership in just over four weeks time. If you want to get away from it all, this really is the break for you. What we love is you can do as much or as little as you like, in your own time and to suit everyone in your group. But the best thing about last weekend? Realising I was still 29 for a few more weeks! 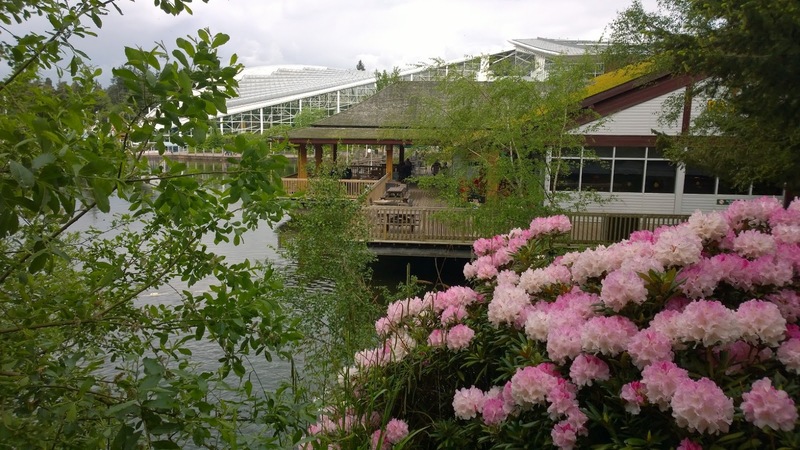 You could be visiting a Center Parcs village too if you enter their new #wincpbreak competition! 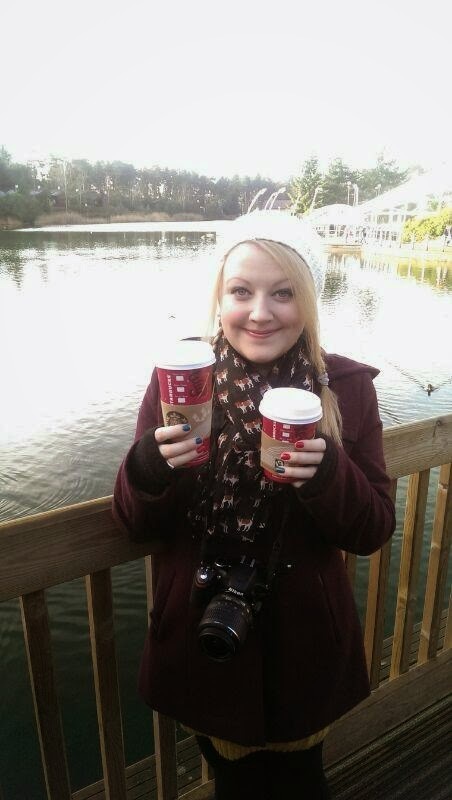 Now, I've told you why I love going to Center Parcs. Whether you want to cook in your accommodation, order in takeaway or dine out at the on-site restaurants, your wish is their command. If you want to take it easy or take part in creative or active pursuits, indoors or out, you'll be spoilt for choice. And if you enter their new competition, you could win a break at a Center Parcs Village of your choice up to the value of £1,500. Entry is super easy so you really have nothing to loose. 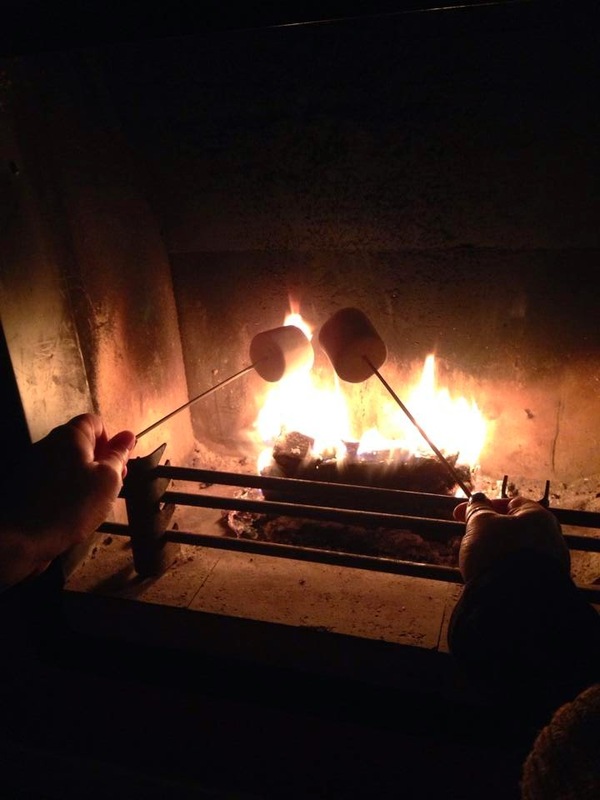 All you need to do is a share a photo, or several if you like, on Twitter and Facebook that shows what you would be doing if you were at Center Parcs right now, being sure to use the hashtag #wincpbreak. Your photo could be of an activity you're enjoying with your family, of a meal in your favourite restaurant or maybe you enjoying a spot of pampering. 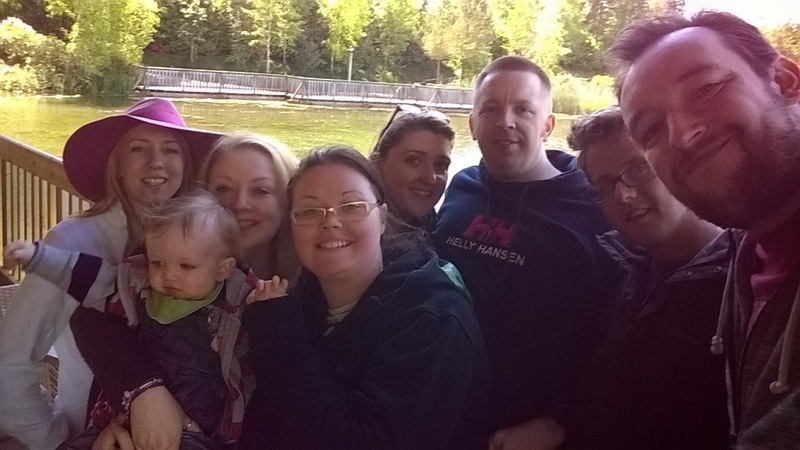 Just share what you would do if you could go to Center Parcs on holiday and tell everyone why you chose that activity in particular. A Starbucks by the lake - what could be better?! Recently, I went to the Aqua Sana Spa at Sherwood Forest for some much needed TLC with my hubs - highly recommended to anyone who is long overdue some 'me' time. 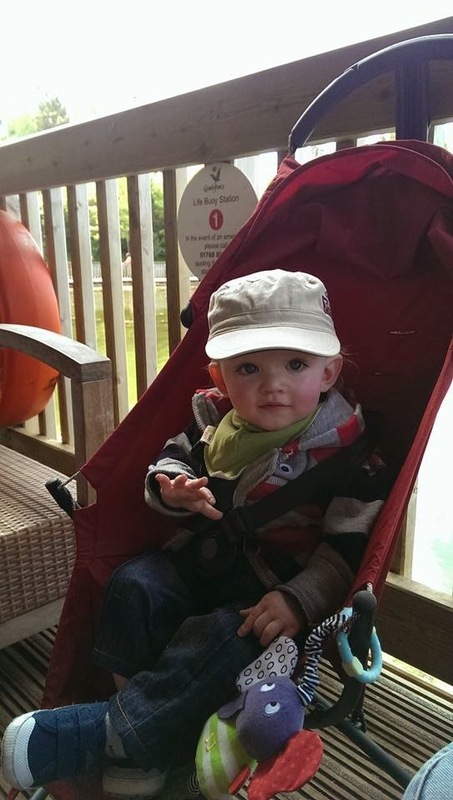 During our break at the weekend, we had lots of fun with Ethan and our friends at the Subtropical Swimming Paradise and we both dined in and dined out during our stay, enjoying the best of both worlds. My favourite thing to do though is to enjoy the big outdoors. The blinds and curtains are open at the crack of dawn in our lodge and we love to go on walks around the forest to see what we can spot - we even managed to catch three badgers on the badger cam TV channel! We didn't plan any activities during our last visit as we had a lot of catching up to do with our friends and needed a nice quiet break but when we go to Sherwood Forest in a few weeks, we're planning a nice meal out at Strada for my birthday, Ethan will be making me a nice pot for my birthday in a tots paining class and we'll be enjoying clay pigeon shooting too. After all that excitement, I'll be popping back to the spa for sure! As Ethan gets older, there will be even more we can do during our stay, but that's the great thing - all ageas and interests are catered for and everything is really well thought out. So, to be in with the chance of winning your very own forest retreat to a Center Parcs village of your choice, simply share your photos using the hashtag #wincpbreak on the Center Parcs Facebook page or tweet them to @centerparcsuk by midday on Friday 13th June - then keep your fingers crossed! If you're near Waterloo train station anytime from Monday 9th to Friday 13th June, you may see your own photos flash up on their motion screen. Any of the photos submitted with the hashtag #wincpbreak could be used and as the screen is 40 metres long by 3 metres wide, your camera work will be showcased beautifully for everyone to see. You'll also have the chance to take part in fun activities such as virtual archery and zip wire so if you're nearby, be sure to pop in to take a look. Find out more about the competition here and good luck! I am so pleased that I started this new feature as I've had the pleasure of getting to know and introducing to you some rather lovely ladies. No two mamas are the same and I am really enjoying finding out more about some of the fab family bloggers out there. Hi! I’m Menai and I live in a little village in Kent. While I was growing up we moved around in the UK and when the chance came up for our family to travel to India for some time we took on the adventure. We returned home in December and we’re now finding our feet back in England again. Little H is five and a half. She just started school in the spring and is learning to dance at a lovely local ballet school. While we were away she adapted wonderfully, learning Hindi and spending as much time in a swimming pool as she could. She adores singing, playing ball in the garden, telling bad jokes and making up stories. Little S is twenty months. She was born in India and is enjoying being home and getting to know her grandparents. She’s a very cuddly jolly baby with a mischievous streak and no fear of heights, animals or water. She is quite obsessed with ducks and stories, cheerfully trotting around after her sister waving a book hopefully to get picked up and read to. 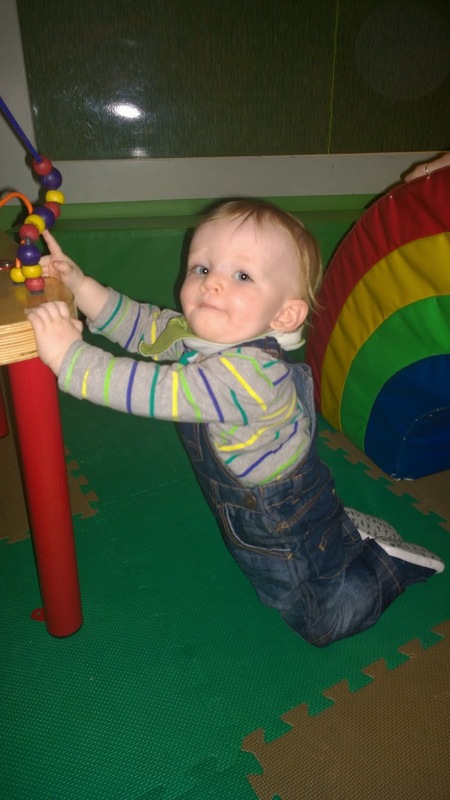 I liked being a big sister and was an older cousin as there’s a bit of an age gap – I enjoyed holding and looking after babies Little H was the first grandchild on either side and consequently the centre of attention for some time. 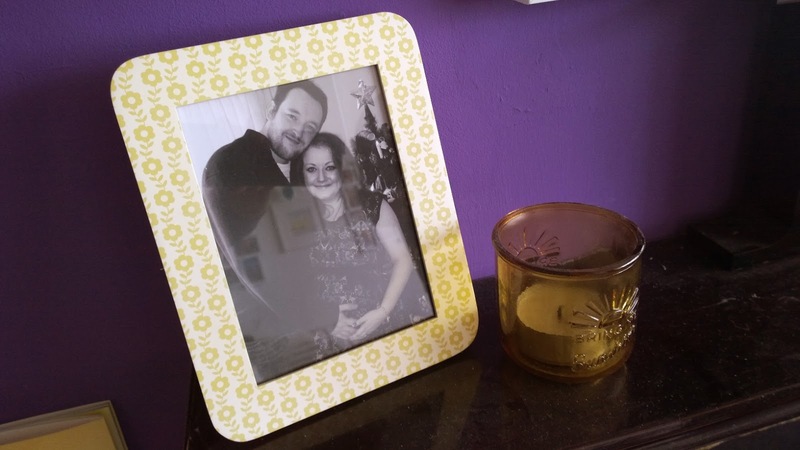 I knew my husband would be a great dad – there’s even a photo of him at our wedding letting our god-daughter pull apart his buttonhole rose as she was enjoying herself doing so. How does anyone narrow that down? I loved a day at a farm when visiting my sister and little H and her cousin were delightedly pulling along the wagon of goodies that we had picked while the baby inside the wagon ate as many strawberries as she could get away with. About the joy, the time that you spend just looking at the children thinking how brilliant they are, how soft their skin is, their expressions and giggles. I seem to remember a lot of people warning me that I wouldn’t like the disturbed nights, that I would wish I’d had more holidays before starting a family, how exhausting it all would be. And I don’t enjoy feeling tired all the time but it’s more than outweighed by the delight and the good times. It’s fair to say that I haven’t ‘got over” living in a country where it’s difficult to get lots of products that we find convenient here – and where there are the odd natural disasters/political upheavals, so I tend to pack the changing bag as an “emergency bag” still. 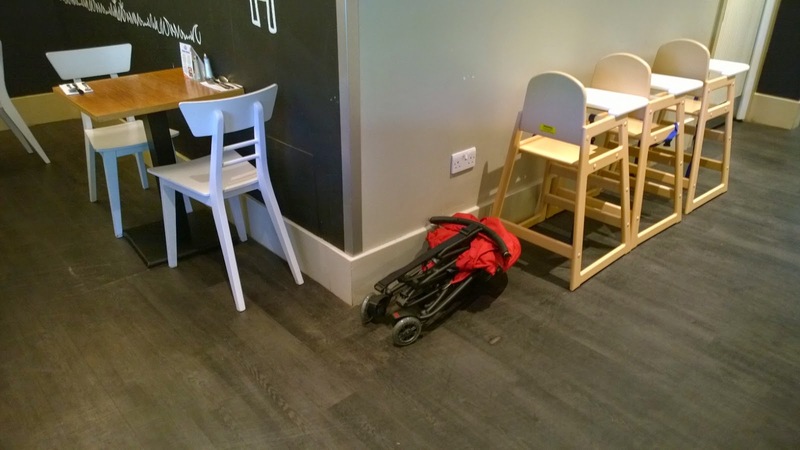 There’s a Skiphop changing mat which has a fair few nappies, wipes, nappy bags and hand gel. We got rather used to changing on the move, on the floor without access to clean water. Now that we can get them, there’s a couple of emergency bottles of ready-made formula. Usually a tiny umbrella (though in India that was for the sun rather than the rain).There’s a just-in-case change of clothes for both children that may even fit depending on when I last replenished supplies, a few reading or colouring books and a pack of mismatched crayons. We have a couple of I-spy beanbags and a muslin or two plus a "just-in-case" baby blanket in there too to make it all a bit heaver and to cause my husband to sigh “Do we really need all that?”. 7. What were the top four things you had for your baby that you would recommend to other mums? A Manduca carrier – we didn’t use this initially as our baby was early and very tiny so she started in a soft wrap and then a lovely Bjorn Air which was breathable in the heat of a tropical climate. 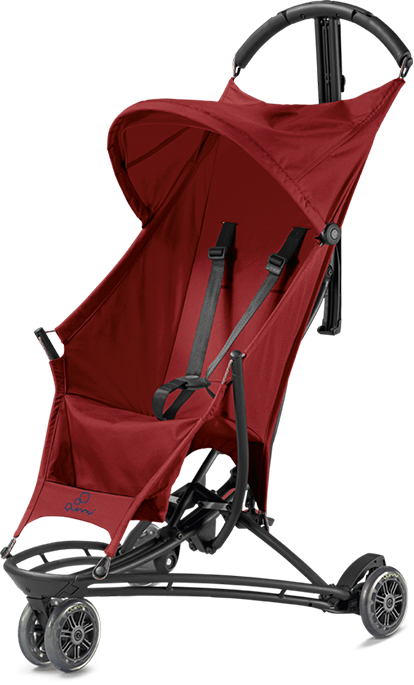 The Manduca has a roll-down insert pocket and can be used from birth. It’s so comfortable to wear, with padded straps and avery supportive waist belt. Even now the nearly 2 year old adores sleeping in there. A Hooter Hider nursing cover-up – pretty, frilly and with a useful wired neck strap so that you can see baby – this was a constant companion and kept me sane while feeding out & about. What I’d highly recommend for newborns (boys or girls) is the style of nightgown which is very long with a slightly elasticated end opening (rather than individual legs with poppers). We got ours from John Lewis or Mothercare I think – they’re just perfect for babies who are between sizes and at any age for thoese middle-of-the-night nappy changes when you're tired and can't get the poppers done up correctly. If you’re tucking the baby back into swaddling or a grobag sleeping bag anyway, their feet won’t get cold. The special little baby bath with the little insert for the head. We just used a big tub. The seat for the bath so that they can sit up before they can reliably support themselves. We just held them. The bottle sterilizing bucket with a lid. The microwaveable sterilizer was so efficient and we used a bowl or disposable sterilising bags with tablets whenever we went away for the weekend. The Essential One do lovely soft clothing for mums-to-be and little babies and have also done some fundraising for Matilda Mae, my friend Jennie’s baby who died at 9 months of SIDS. I also love Toby Tiger clothes which are colourful, trendy and immensely hard-wearing. DMC ready-to stitch comforters which come in shapes like teddies and giraffes with a cross-stitch style bib onto which I can quickly embroider baby’s name. I go to a local independent craft shop but they have these in Hobbycraft or online stores too. We love the Ladybird Baby Touch books, big and small –we read these from earliest days, turning the pages, pressing the button and making all the animal noises. I am also a fan of Lamaze toys and we have a few musical ones so that little S can join in with a few notes on the elephant’s trunk or octopus legs when we are having a singsong. For the nursery we have a few Verbaudet items, especially stickers. Working part-time has suited me but I’ve resisted going full-time. It’s hard to keep ‘the show on the road’ at home as it is – right now there’s a big pile of clean-but-not-sorted-out laundry looking at me. While the children are small I’m happy to be with them as much as I can and working part-time or at home makes it easier to have time for fun, especially now that we are home for an English summer. I am thinking about a change of career but am giving myself a few months to settle back home first. I am fascinated by child development, especially language and inquisitive approaches to the world. I love finding numbers, letters and rhymes everywhere and having fun with learning. Little H went to a school in Mumbai which was part of the University of Child Development school (in Seattle) where some fascinating techniques were used, including “Math Vitamin”,a daily little dose of a maths problem to investigate and all kinds of little equipment was used to visualise and describe the workings-out. She loved it so much that we were asked to set puzzles in the holidays. I am not very good at it – thank goodness Facebook keeps me in touch with our friends and family around the world as much as it does, with the occasional real-life meetup whenever we can. 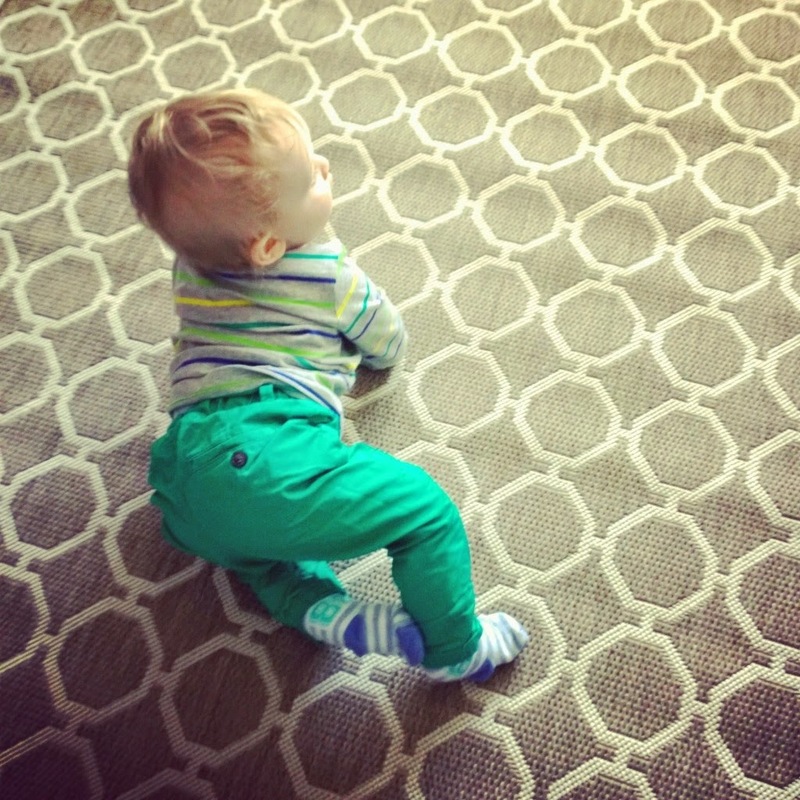 While I was nursing the baby I got a bit addicted to Pinterest, especially with ideas for our home back in England. I knit while watching TV of an evening – nothing beats Doctor Who and Agents of Shield! Now I read everywhere – listening to audiobooks in the car, downloading books onto my phone and stashing books in the bathroom for that occasional long bath. I am working my way through some classics and I adore detective fiction from the 1930s. I also love to escape into other worlds, especially with the help of authors like Jasper Fforde and Terry Pratchett. I wish I could find more time to play the piano and I’ve also taken up playing the recorder again so my treble can accompany little H’s descant. I plan to take A-level Spanish next year if the family will help out with the children- I haven’t done any exams for a while so I think I’ll try my usual technique of watching films with the subtitles as a way to immerse myself in lieu of holidays. I am getting back into blogging now that we are home. While we were away it was a great way to keep in touch and I found lots to write about with our life being so different and challenging in India! Now that we are home we are looking for a new ‘normal’ and I have focused on a Project 365 photo blog with a weekly round up. I have some reviews lined up and enjoy blogging about books too so it’s a mixture. There’s always some support, day or night, from the lovely group of people I have met online –somewhere in the world, someone is always awake and ready with a cheery word or encouragement. . I know I have kept a better online journal of the children growing up than I would have done otherwise - those baby record books didn’t get filled in yet! Thank you so much for sharing your insights and so many favourite products too! It really is facsinating to learn about other mums and to hear their ideas. And great that you're doing the Project 365 photo blog series too. I'm a real homebody and whilst I've learnt to let some things go now I have a crawling one year old who's interested in everything on my hands, I still try to keep my home nice and tidy. If everything has its place, I feel much better and as long as it finds its way back there, I can relax. Recently, I've not been 'feeling' our lounge. We only decorated it two years ago, with one bright purple wall and a big Ikea Expedit bookcase / entertainment centre. We also got a new sofa this time last year. The lounge didn't need a big change, but it was just a little dull and tired looking and in turn, this made me feel a little dull and tired. 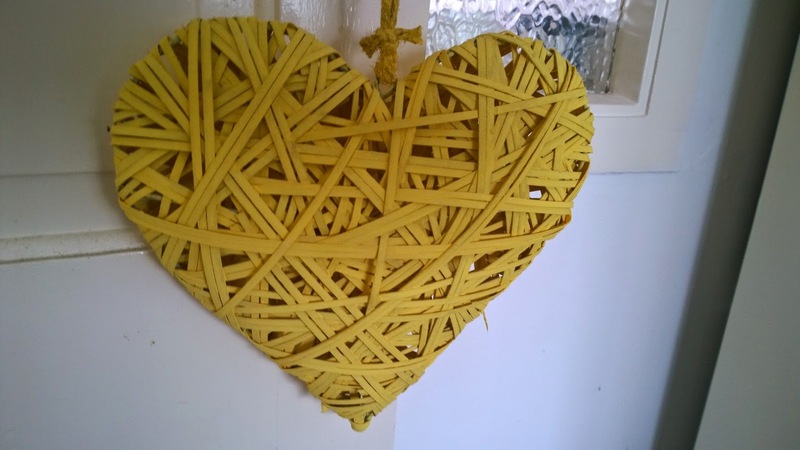 I'm very affected by my environment and I was keen to bring some of the fun, colour and personality that we have in our dining room into our lounge, which is the most used room in the house for all of us. 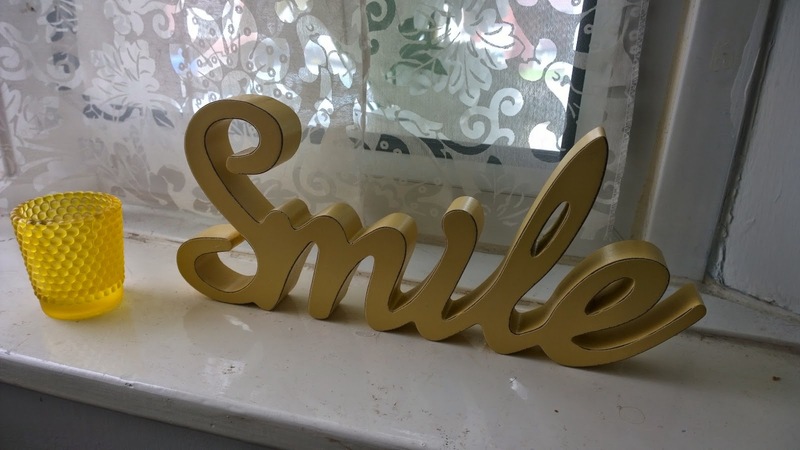 I was having a general browse of some of my favourite blogs when I came across this home decor post from Mummy Daddy Me. 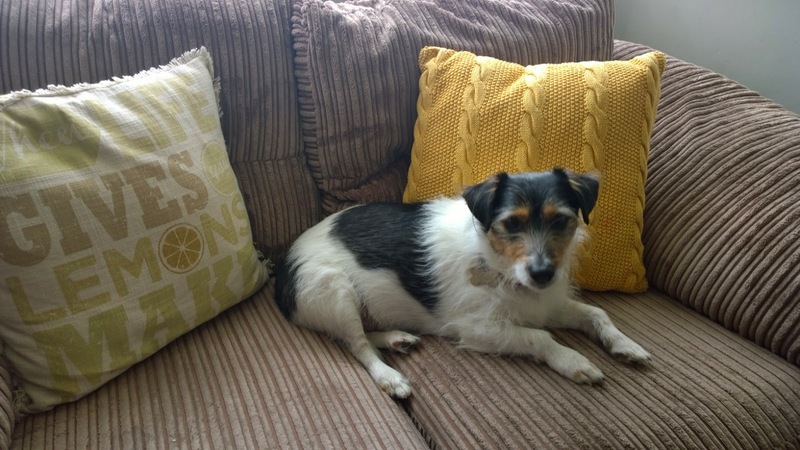 Katie had just decorated her bedroom and linked to a post about her lounge which she had also updated recently. When Katie said it was a mix of purple and yellow, I was keen to see what her lounge looked like. 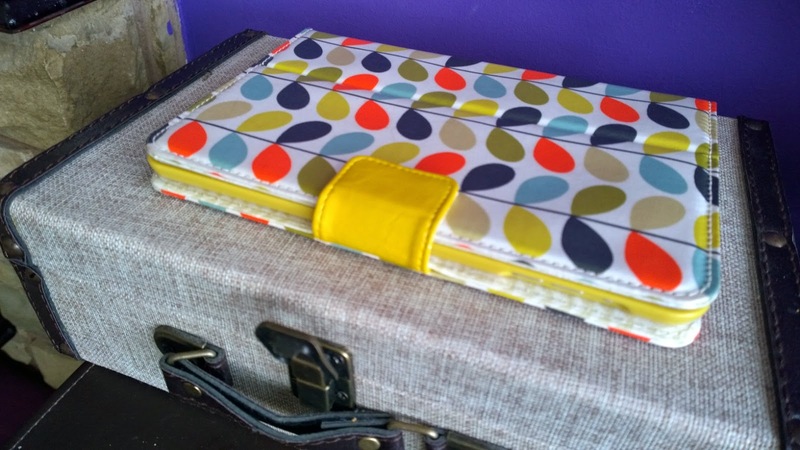 It was completely up my street, not least because she had chosen Orla Kiely wallpaper (I love her prints!). 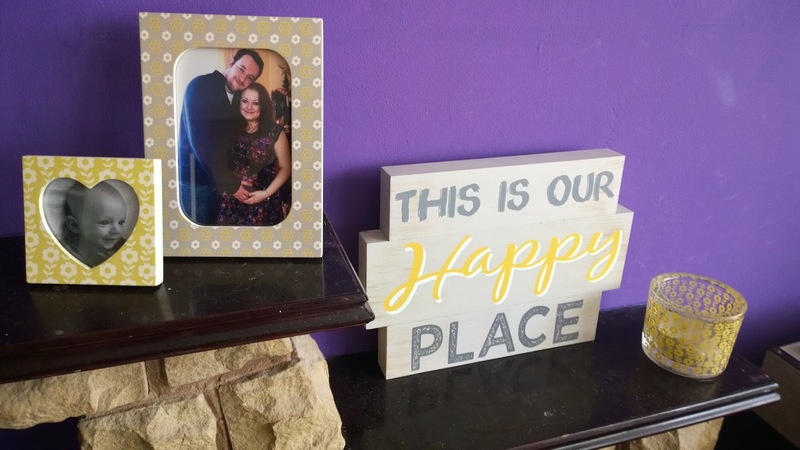 The purple in her lounge is the same as mine and yellow is my favourite colour - it really is the colour of happiness - so feeling inspired, I immediately started collecting yellow items from around my home and looked online to see what else I could pick up to brighten up my lounge. I took some of my Oliver Jeffers picture books and grouped them together. 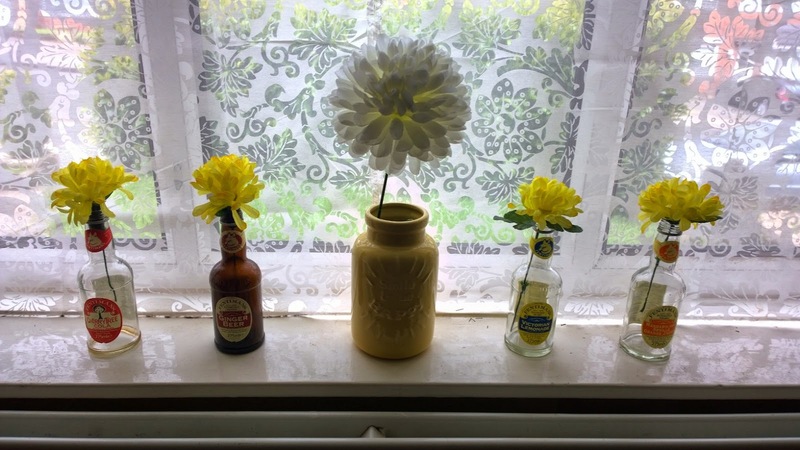 I gathered some vintage style drinks bottles on the windowsill and added an artificial flower stem to each one. 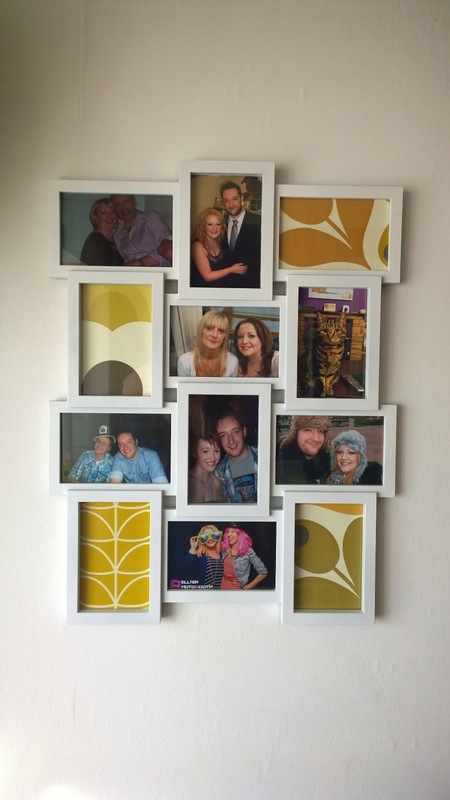 I played with picture frames, candles and added a couple of new cushions. 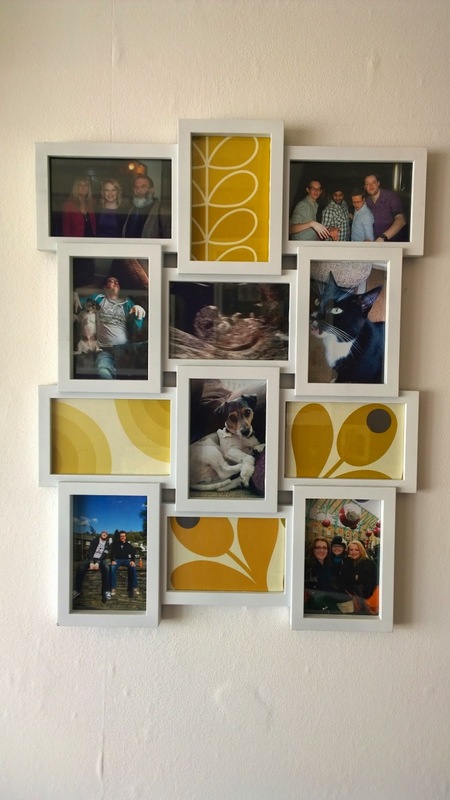 I also had the rather inspired idea (if I do say so myself) to order some free Orla Kiely wallpaper samples online which I then cut to size and added to the picture frames on our blank white wall for a flash of colour. A couple of new lamps, a new geometric rug, and in one weekend, my dull lounge was transformed into a much more bright and inviting space. I didn't spend very much but it seemed to make such a difference. Last weekend, we popped to Ikea, the store of dreams, and bought a square bookcase to match our entertainment unit, plus a couple me yellow cardboard boxes that are compatible with the range and magazine files in the same colour. 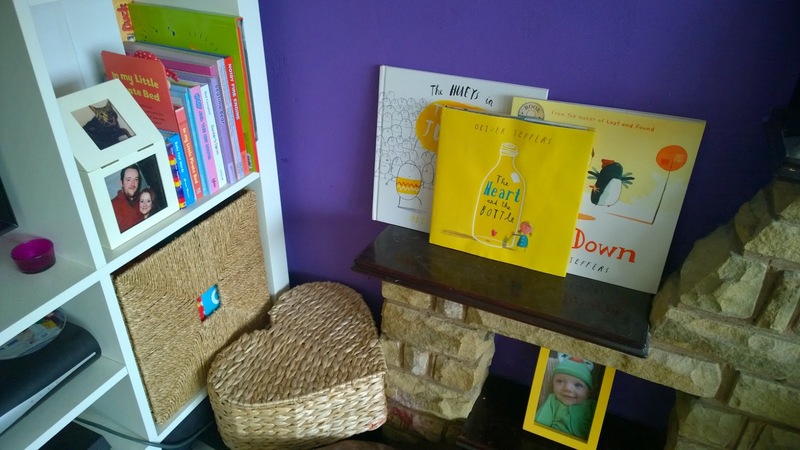 We replaced our old, dark coffee table with this bookcase and it's provided a nice nook for Ethan's toys and books which again adds a flash of colour and interest. As Katie said, purple and yellow won't be everyone's cup of tea but it sure is mine. 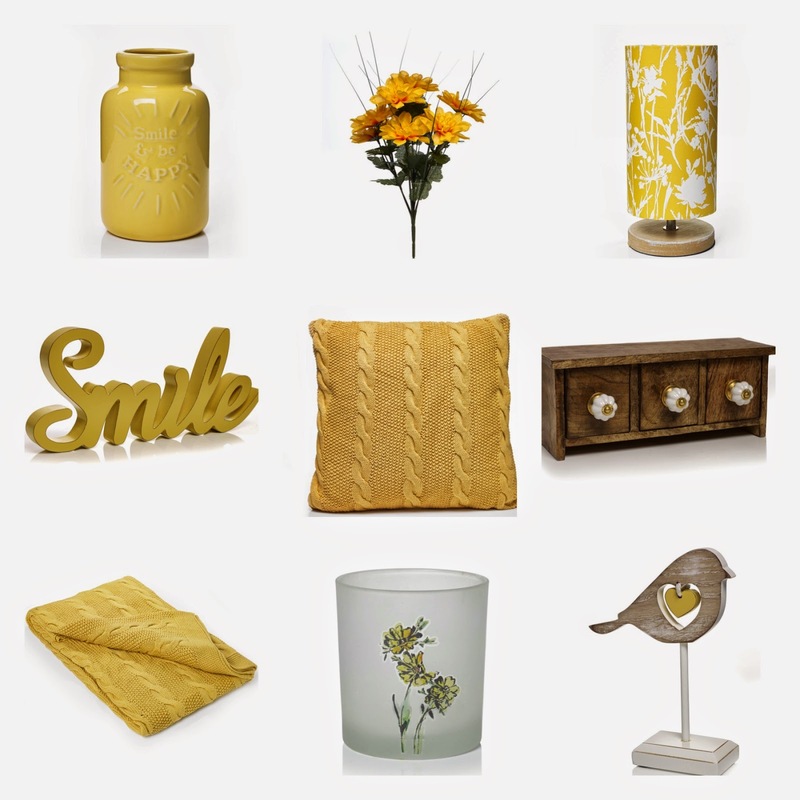 Here are my favourite, fabulous yellow pieces spotted in Wilkos right now - some of which I now happily own! 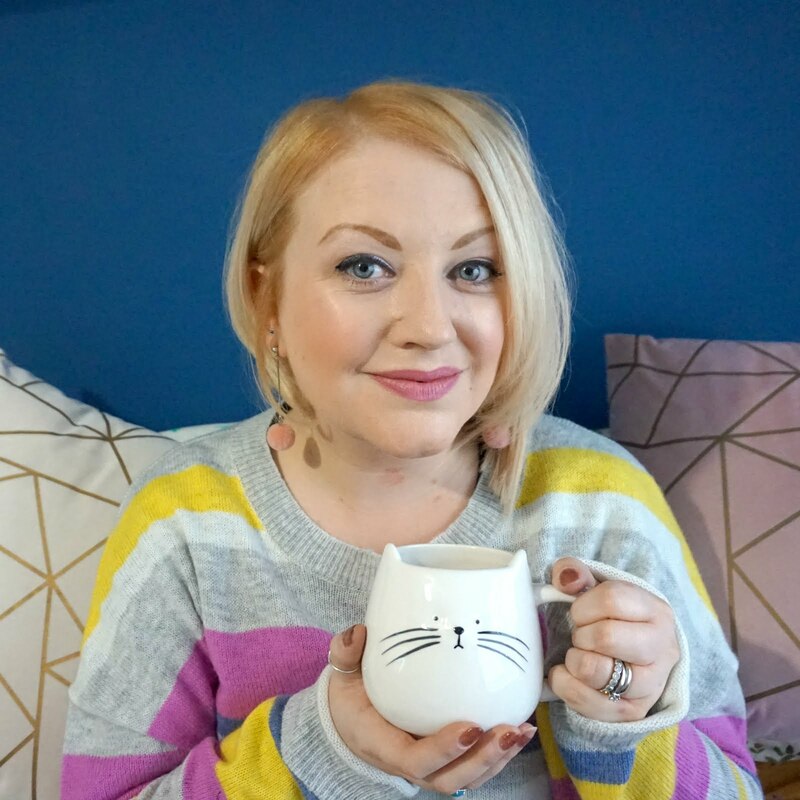 Last week, I posted about how I was taking part in the Aviva Stress Less challenge, and now that I'm a week in, I can see a difference in how I feel and how I go about things based on the advice the experts have given me. I know it has only been a week, but the way in which the challenge has been organised and the practical, tailored advice I have received has really helped me to reconsider different elements of my lifestyle so I can start to make small changes that can add up to a considerable change. The life of a working mum ebbs and flows, with one week being busier or more stressful than the next down to a variety of reasons. 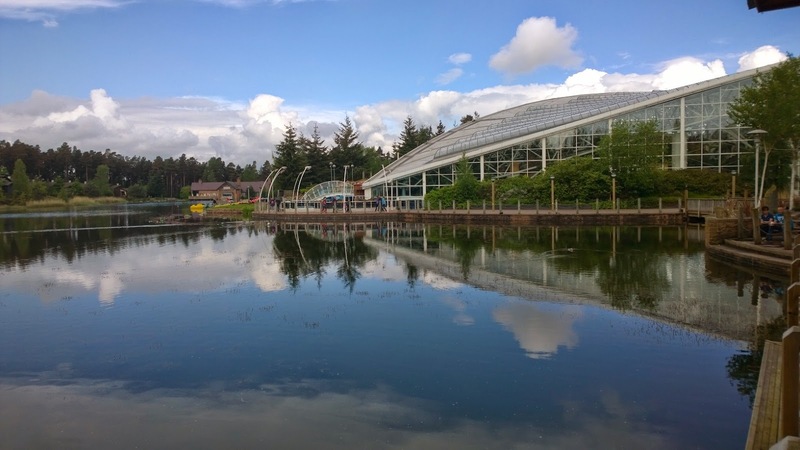 I've had the chance to enjoy a spa break thanks to Center Parcs since I started the challenge, which was a lovely break from the norm and helped me to enjoy some down time and really made a difference. Shame I can't go every week! I've also been taking on board the personal tips the Aviva experts sent me to put some changes into motion. Work-life balance: my main concern was how I always try to do as much as possible but sometimes there's just too many balls in the air. 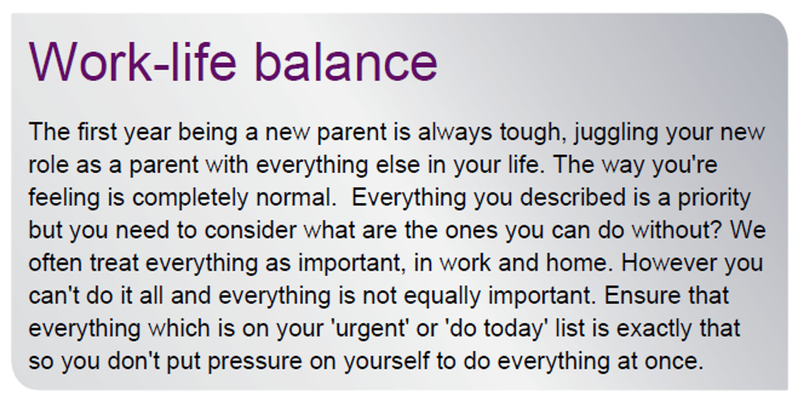 Dr Doug Wright from the Aviva team said that this is the way many new mums feel and suggested that I implement a priority list of actions, both at home and at work, so I can focus on what really does need to be done now and what can wait until another day. Sounds simple, but I needed this clarity and I've found that this past week, by highlighting the things I must absolutely do, I have been more focused and I've ultimately felt calmer because I know what I have to / what I can achieve and in return, I've felt a sense of accomplishment. 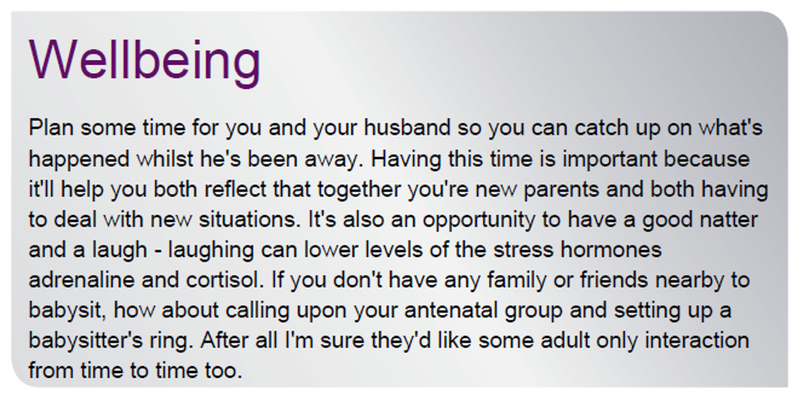 Wellbeing: I was feeling like I never had quality time with my husband and I just don't know how to properly relax. Doug suggested for the first week of my challenge that I plan some time into my week to properly catch up with Stephen and to talk through everything that has been going on with the both of us while he has been working away. Again, going to the spa together was a great chance to step out of our role as parents for just a few hours and to enjoy being a couple again, but this wasn't an average week. The advice is simple but it can be hard to make time so I want to make sure we continue to make the time and make the effort to talk to each other and unwind. Diet: I've been travelling quite a bit for work these past few weeks and that combined with looking after Ethan in the evenings on my lonesome during the week means my diet has been up and down. I often eat the wrong thing when out and about or just miss a meal altogether, which I know isn't good for me. Varun Shivdasani from the Aviva team gave me a great idea; to help keep my energy levels up and to make sure I always have something healthy to eat no matter where I am rushing to, I should pack a lunchbox or cool bag with snacks. This is something I used to do when I was pregnant - I always had a good stash of food in the car! - and it's something I can easily do again. He said it was important to plan ahead, and I have really tried this week to think about where I will be and when, thinking about what I can eat in advance. I have struggled a bit with my appetite here and here so this is something I still want to work on but the tips so far have been helpful. I completely agree with Doug that knowing when you're most productive and how you like to work is the best way of tackling things each day. I'm a morning person so anything which requires more attention or more effort, I need to make time for first thing. 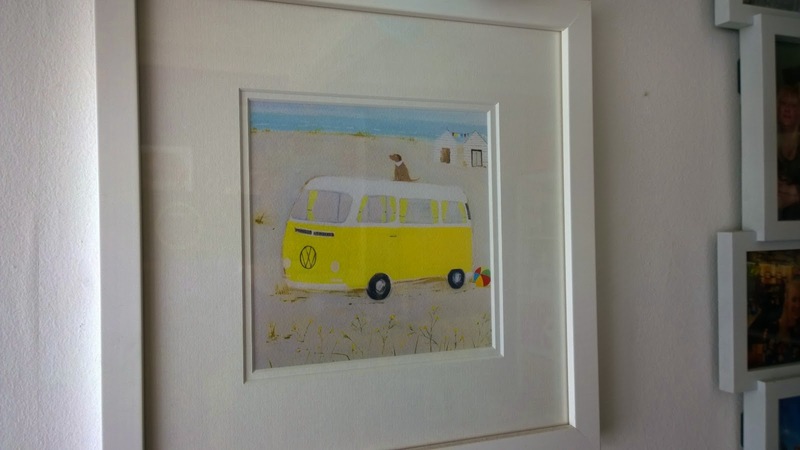 I do need to rediscover a passion as my down time is just spent in front of the telly each evening and I do beat myself up about not doing very much outside of my professional and mummy roles. 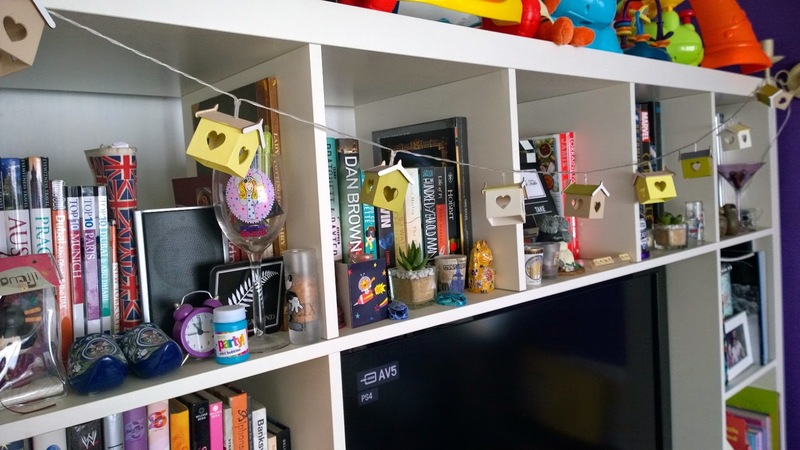 I used to do a lot of crafts and it is something I'd like to make time for again, so I think I'll have a good clear out of my crafting bureau this week and see if I can spark some creativity again! The third tip, about fitness, comes from England rugby players Billy Twelvetrees and Jonny May and former Captain Mike Tindall - wowza! I really do think of exercise as a 'job' and I guess this mindset stops me from getting up and getting into gear. I'm sure I can make more of an effort and with the sun shining, walking more will certainly be easier. I'll try, I promise! 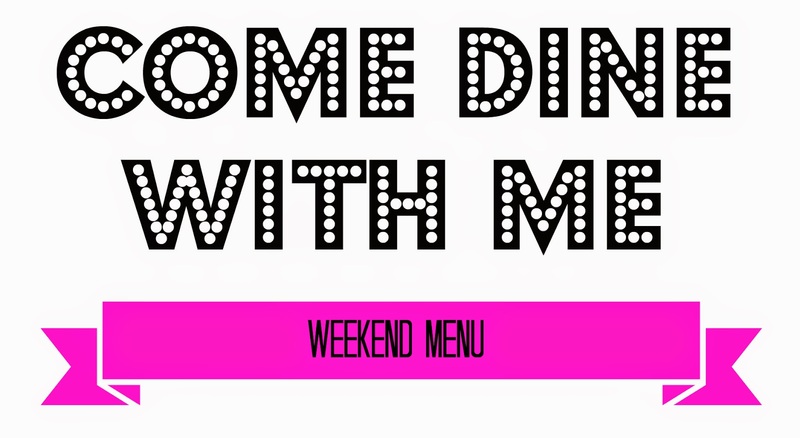 I also really like the sound of the meal idea too, so I'm really excited to see how week two goes. I'll be posting a quick video update soon on how I'm feeling about the challenge and the tips that are working best for me but I'm already so pleased to be taking part in this. Happy Monday everyone! 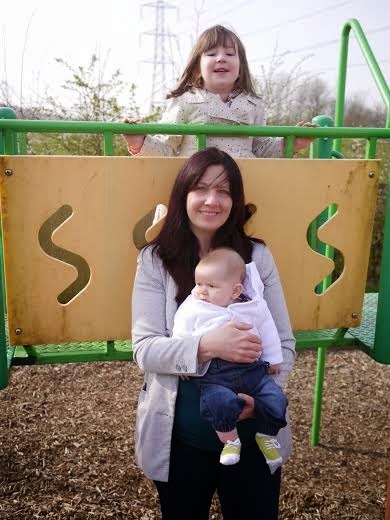 This is the third week of my new Meet A Mum feature and so far I've introduced you to Katie, Gemma and now Lorraine - a trio of lovely mummies! I’m Lorraine, I’m originally from South Wales, now living in Salford, having gone via Leeds and London. G is our eldest, she’s 4 (nearly 5, as she keeps reminding us), and starting school in September. 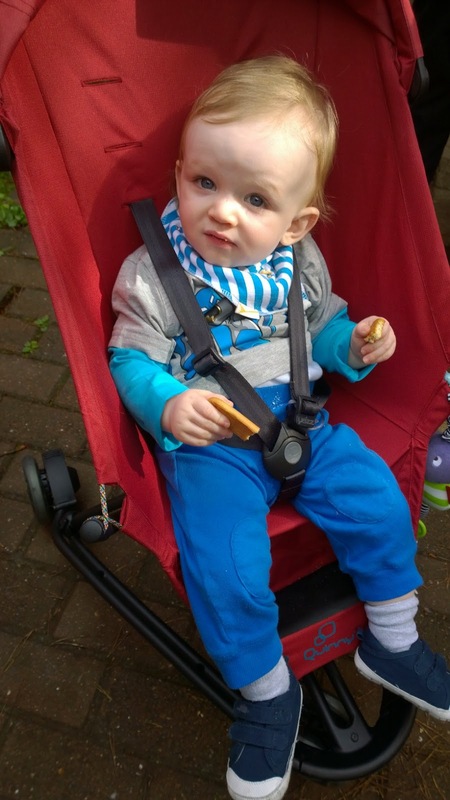 C is the baby - 5 months old and already the ‘problem child’ (only joking!) - she’s either just a sicky baby or has a possible cows milk and soy intolerance which I’m currently trying to figure out! I don’t think I ever did really know. I wasn’t one of those people who played ‘mum’ as a child, and was never around babies when I was growing up so just didn’t know what to do with them. In fact I remember telling a friend that I wanted kids who turned straight into teenagers! But I knew I wanted children at some point and figured it would all work out - which thankfully it did, and I wouldn’t have it any other way! 4. What do you wish people had told you before you became a mum? The one thing I’ve heard recently which I wish someone had said to me, was to start going to baby groups as soon as you go on maternity leave. Once you’ve had the baby the last thing you want to do is go out and meet people you’ve never met before, in places you’ve never been to before and at groups where you have no idea what to expect. You might be the only one there with a bump, but it’ll be pretty obvious you’re not just a random showing up, you’ll be far more awake to make scintillating conversation and if your baby is late like both of mine were then it’s a great way to keep busy while you’re waiting for baby to arrive! 5. If we were to look in your changing bag, what would we find? 6. What were the top three things you had for your baby that you would recommend to other mums? Firstly, a sling - a stretchy Moby wrap is brilliant when they’re teeny and I’m currently working my way through the stock of my local sling library, trying lots out before I buy my next one. 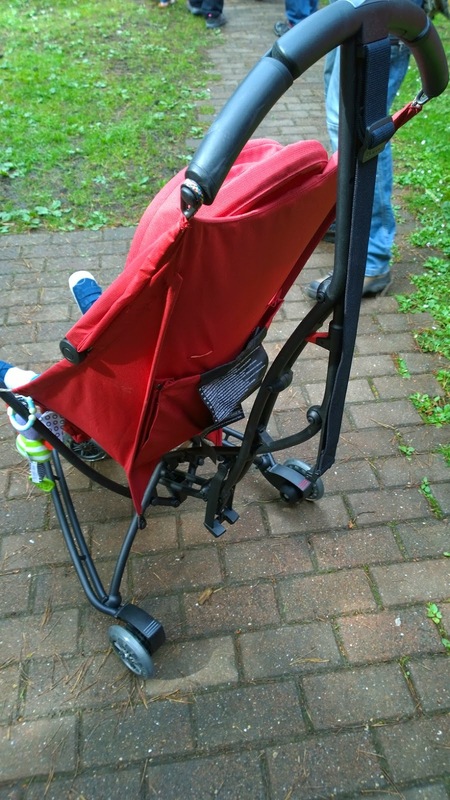 Second, whilst I’m a huge fan of the Ikea Antilop highchair, this time round I picked up a second hand Stokke Tripp Trapp chair with a newborn seat attachment. It’s great having C up at eye level when I’m playing with G - before I got it I kept feeling as though I was always ignoring one or the other, now we can do things at the table together. And finally, an open mind - I couldn’t even count the number of things I said I’d do and just didn’t work out, or vice versa! 7. What three things could you have done without? This is a difficult one as it varies so much between babies - for example our eldest loved her bouncy chair but C has never really taken to it so could have done without that this time around. In fact to be honest I think I learnt a lot from first time round and don’t really regret anything I’ve bought. My main tips are to buy secondhand (as you’ll probably be able to sell it on again for almost as much as you paid), and to try before you buy - either via friends or find a local library service, for example I’ve made very good use of our local sling library to try out different baby carriers. Some Sure Start Centres have toy libraries too. 8. What baby brands do you like and why? Thinking ‘brands’ rather than ‘products’ I’d have to say NCT for this, partly because I volunteer for our local branch. It’s only since volunteering with them that I’ve learnt about quite how much stuff they do, I always thought they were just the people that did antenatal classes (I didn’t do NCT classes first time round so didn’t look into it at all). For example, C was tongue tied at birth which affected her feeding and weight gain, and around the time we were getting that sorted they were campaigning for better identification and treatment of tongue tie in the UK. I think it was because of the news coverage they got for it that people I spoke to even knew what it was! I also didn’t realise that you don’t have to be a member to attend any of their events - coffee mornings, socials etc. I just assumed you had to join so didn’t look into it last time. 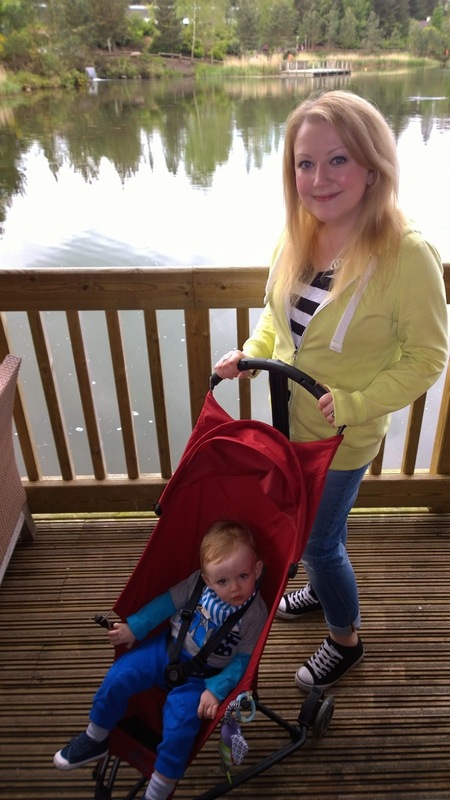 I’m running one of the local pram walks amongst other things, which has been a great way to meet some lovely people and get out and about in the sunshine. 9. Are you a working mum? If so, how do you find it? I’m on maternity leave but will be a working Mum, and was with my first too. In fact with G I went back after 3 months and my husband was a stay at home Dad for a while. It’s given us a different perspective on things really having seen each others roles and challenges, and I think we work really well as a team now because of that. 10. What do you enjoy most about being mum? For me, they get more and more interesting the older they get. It’s fascinating watching them turn into characters in their own right. And as they get older other people start to find them interesting too so it’s lovely seeing G in particular interacting with our friends and family. 11. How do you make time for being 'you’? Er, I’m not sure I do! I haven’t quite cracked that bit yet - but I have reserved a room in our house for my ‘craft room’ - although I need to finish decorating it first, and it also doubles as a baby change room, laundry room, play room and office. 12. 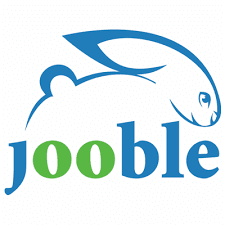 Tell us about your blog / where we can find you online. I blog at www.athomewiththejoneses.com, about crafts, cooking and creativity with two kids in tow. My husband wrote a blog about being a stay at home Dad with our eldest, which makes a lovely memoir and also helps us keep our far flung family up to date with the children, so I wanted to do something similar for C. But I wanted to do more than just bore people with baby pictures all the time, so use it as a place to share all the things I love doing - which largely involves making stuff, taking far too long over it, and making a huge mess of the house in the process. 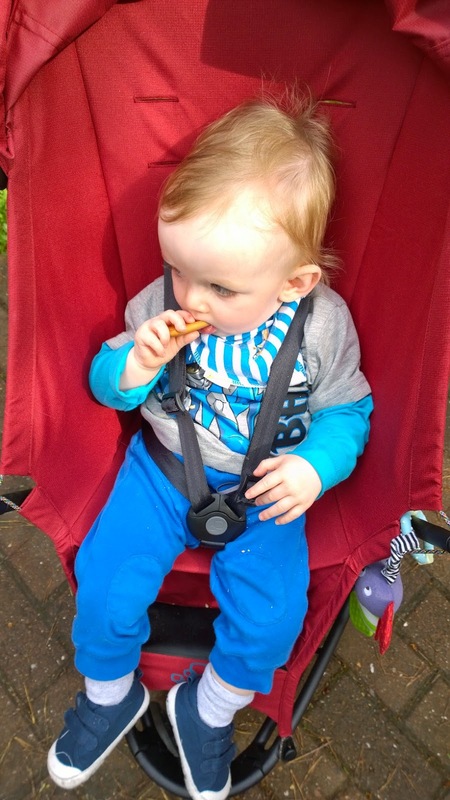 I’ve found myself writing quite a bit about my mildly crunchy parenting too - breastfeeding, cloth nappies, baby wearing etc. I only started it in December so I’m really new to the blogging world, but I’m learning lots and enjoying it so far! 13. What's the best thing about being a blogger? For starters it makes me feel as though I’m doing something productive with my day (other than being a Mum of course - that’s a different kind of ‘productive’)! And the blogging community has given me a reason to meet people other than mums at baby groups. 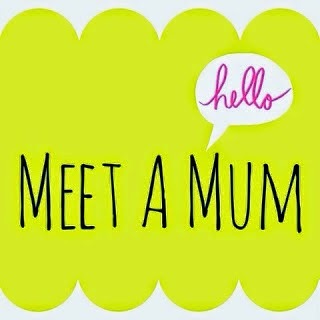 Don’t get me wrong, I’ve met some lovely mums at baby groups who I hope will become good friends, and a lot of the bloggers I’ve met are mums themselves too, but it’s nice to have a different topic to start off with than ‘just’ babies. 14. Share a crazy fact about yourself. Thank you Lorraine for taking part in Meet A Mum Monday! I definitely think you have a point when it comes to the whole baby group thing and I am with you on the emergency make up in the changing bag! Warning: this post is a bit of a rant but yet again, a Daily Mail story has ruffled my feathers. I know, why do I read it if it riles me so? Well, it does have good celebrity stories and shameless gossip on my lunch hour is always appreciated. But I have just about had enough of how the Daily Mail, and all the other gossip magazines and sites, talk about women. Specifically in this instance, new mums. Body image is a topic of much debate that everyone has thrown their twopence worth in. There can be no denying that what we see in the media has an effect on how we view the world and ourselves. Even when armed with the knowledge that what you're seeing may not be real - that the model has been airbrushed or certain types of people have been excluded altogether - if all you see is distorted images, then your concept of 'normal' becomes manipulated. This is very true when it comes to mums. The media love to monitor every stage of a celebrity's pregnancy, from speculation - Mila Kunis anyone? - to a running commentary on how their bump is growing and what they're wearing to hide / show off said bump - step forward Holly Willoughby. The real analysis is saved for when they have actually had their baby, to see who races towards the 'be skinny in just X weeks' finish line first. The article that's prompted this rant can be read here and it's a good example of how the Daily Mail can turn anything into 'news'. In this case, 'woman has baby then wear bikini'. At first glance, it may seem that the Daily Mail is being supportive of Kerry Katona and how she's wearing a bikini with pride and enjoying some time relaxing not long since the traumatic birth of her daughter. But look closer and it's not hard to see their thinly veiled remarks. From comments like she says she's 'proud of her body' to Kerry Katona treated herself to a well-deserved sunshine break to do exactly that and showing - rightly so - that shaping up wasn’t the top of her priorities it's hard to see the sincerity in their words. Kerry, who is engaged to the father of her fifth child George Kay, was seen pacing up and down engrossed in a telephone call – more than comfortable in her skin. 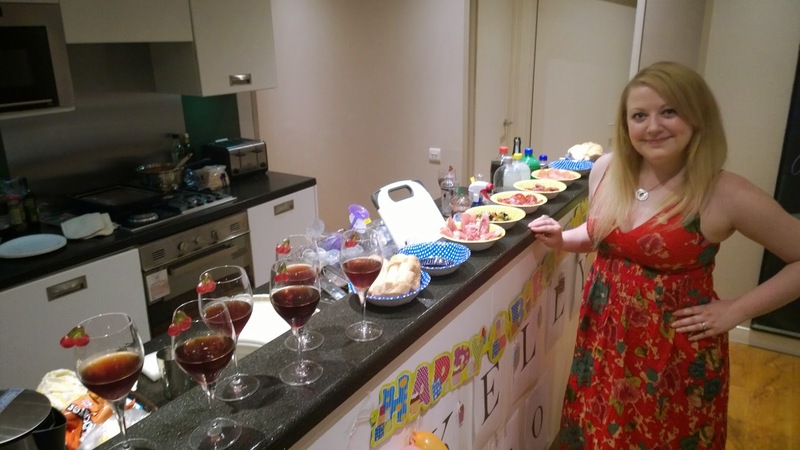 While prior to becoming pregnant, Kerry openly spoke about her desire to shape up for her forthcoming wedding – her priorities have now changed. Just give us a break. Stop the patronising. Stop the raised eyebrows and smile full of false sympathy. Yes, women have babies. Yes, women's bodies change in all sorts of ways, and different from one mum to the next. Yes, having a baby becomes the most important thing to you. No, this isn't unusual. No, it's not something to be ashamed of. No, women should not feel bad if they do not measure up to what the media expects. Enough with the body bashing. It helps no-one and we could all do without the criticism. I've written a few times about the trials and tribulations of becoming a working mum and finding that elusive balance between being mum and being me, but now, things have come to a head. My life is not that much different to any other mum - we all have our different circumstances, daily routines and little niggles that can get to us at times - but I feel it's starting to have more of an impact on myself and my life than I perhaps realised. My husband works hard and is away three nights a week, so I do the parenting thing solo for four days. No worries, plenty of women manage it, so I can too. 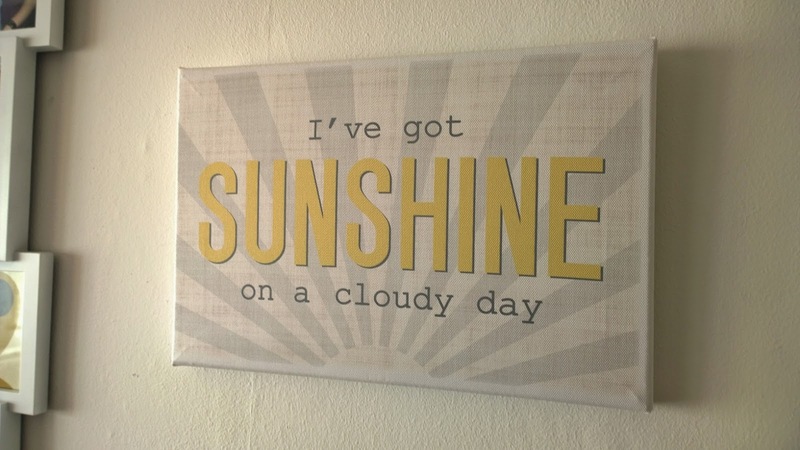 That's my attitude and as is my coping mechanism with everything, I look for the positive and just 'get on with it'. After all, what other choice do I have? Things have to get done, I have to work and Ethan deserves to have the best mum there is. Even if she's a bit frantic at times. End of story. I like to be busy and don't really know how to relax. Spare moments are spent catching up on my blog writing - one of the few things that I really do do for me and something I enjoy a great deal - or trying to catch up on housework, phone calls, party planning or whatever else is going on at the time. My mind is always buzzing as a result and I have been finding myself getting more strained and anxious. It's impacting on how I am with Stephen and even with friends and it could also be having an impact on my health. I've been to the doctors recently and they are concerned that my blood pressure has been higher than they would like over the past few readings. It was an issue just before Ethan was born and on the day of his birth and it seems it's not changing now. They asked me to buy a blood pressure monitor and over the next month, I need to take and record daily readings before going back for an assessment. I've never been and probably never will be a fitness freak but my current lifestyle makes regular exercise even harder (I know, I know, this is the excuse that everyone uses). Some nights, I skip dinner altogether as Ethan has demanded a lot of attention and it's too late by the time he's finally settled to eat anything, or I have been on the road all day for work and have only eaten rubbish or missed meals entirely. There's other things on my mind, not necessarily bad things but things I need to do or need to think about. Parties, visiting people, home improvements... the list never really ends does it? I've been feeling frazzled but it's only now that my doctor has raised a concern that I've taken a step back and realised that perhaps 'coping' isn't enough. Perhaps I need to take some time and look after myself better. Put myself first. Then, just last week, I saw a blog opportunity pop up in my inbox that really came at just the right time. Aviva, the UK life, health, home and car insurance provider, were looking for people who are feeling stressed to take part in a challenge to help them take the steps they need to have a healthier, happier lifestyle. 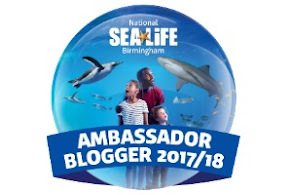 The good news came a couple of weeks ago that I was one of the lucky people to be selected and I am so grateful for this unique opportunity. I filled in a questionnaire about my lifestyle and the Aviva experts - Dr Doug Wright, Varun Shivdasani (an experienced culinary nutritionist who works with sport stars and Gloucester Rugby coaching staff - have develop my own personalised tips for reducing stress and keeping healthy. This is the first time I've ever been given really useful, practical advice. I find the doctor doesn't go into enough detail and it's just a case of 'one size fits all'. Thanks to Aviva, I have some tools to use that could make a big difference to my well being and I owe it to myself and my family to take this time to make a change. They all seem achievable and the mini cool bag idea is so simple but really think this could help me make a much needed difference to my current lifestyle. 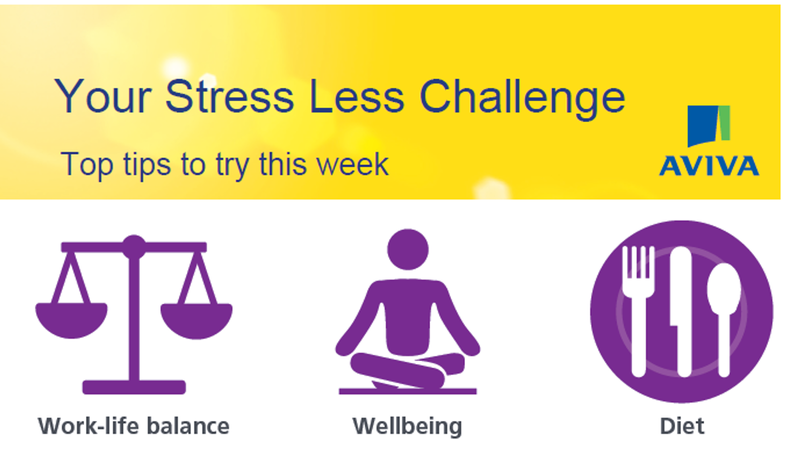 The Aviva Stress Less challenge isn't just something to try half-heartedly. They say: "Armed with our experts ranging from a doctor, nutritionist and rugby coach, we want to help you achieve a healthier and less stressed you. We want to give you some truly personalised health tips to try for 2 weeks aiming to commit to at least one for a lifetime. A small change for a big health benefit." I will be taking on board the advice I have been given over the next week or so and will report back to let you know how things are going and the thoughts on the techniques I'm being taught. After two weeks of doing my best to tackle my stress levels and to take on new, healthier habits, I'll share my (hopeful) success story with you and how I hope to Stress Less in the future. I'm really excited about this journey and hope you'll enjoy following my progress. There's plenty of tips we can all learn to live by! 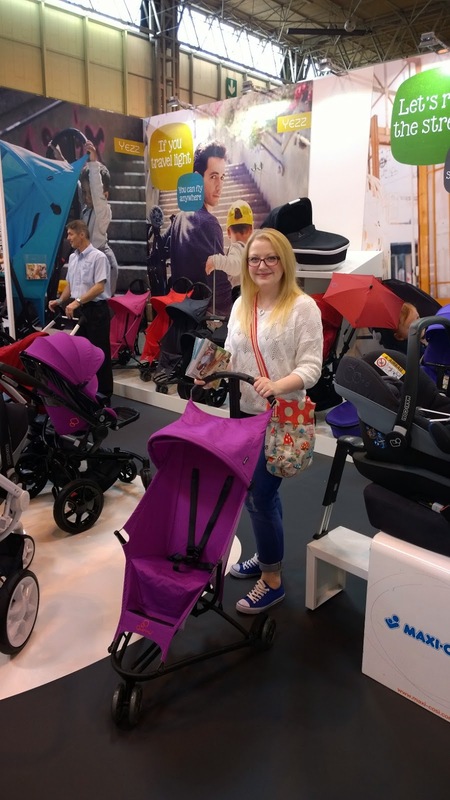 I am a member of the Mumsnet Bloggers Network Research Panel, a group of parent bloggers who have volunteered to review products, services, events and brands for Mumsnet. I have not paid to take part in this challenge and I have editorial control and retain full editorial integrity.